Four crew members of a Chinese fishing boat which was sunk by the Argentinian Coast Guard last month are now on the way back home. They were among a crew of 32 on a Chinese trawler which was fired upon after Argentinian authorities accused it of fishing illegally in its territorial waters. Twenty eight of the crew members were picked up by another Chinese fishing vessel which was nearby at the time. 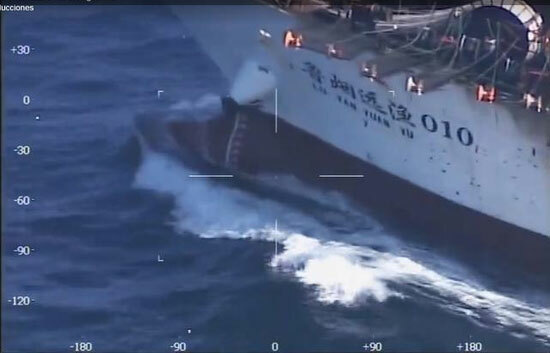 The four, including the captain of the vessel, were picked up by Argentinian authorities and charged with illegal fishing and resisting arrest, prompting a demand for a response by the Chinese embassy in Buenos Aires. Argentinian authorities say the incident is not likely to affect bilateral ties between the two countries over the long-term.